You are at:Home»Category: "Boat Show"
January 9, 2019 0 Lots To See In L.A. 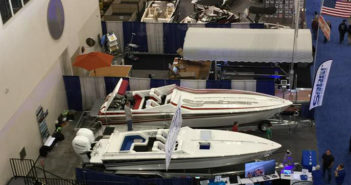 If you can swing it, a trip to this week’s Los Angeles Boat Show should be well worth the effort. Both high-end center console brands have new boats to show off at this week’s Fort Lauderdale International Boat Show. Is it time to reevaluate the format of boat shows? It couldn’t hurt. Another yacht-oriented show delivers a solid audience for performance-oriented powerboat builders. 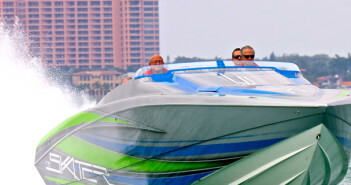 With hundreds of boats on display, including new hot rods from DCB, Eliminator, Nordic and more, expectations are high for the Lake Havasu Boat Show at Arizona’s Lake Havasu State Park, Windsor 4 in early April. 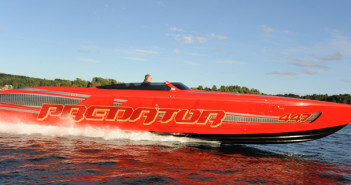 The local West Michigan performance boat community is getting excited for next month’s Grand Rapids Boat Show. 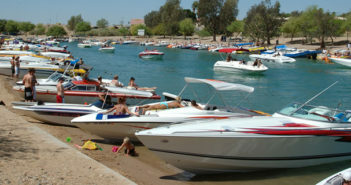 The upcoming Lake Havasu Boat Show should be bigger and better than previous years. For members of Powerboat magazine’s former test team, the 2017 Miami International Boat Show was a fine reunion. The Miami International Boat Show docked at the historic Miami Marine Stadium Park and Basin displaying a mix of dynamic machines, incredible power packages and must-have accessories for the performance enthusiast that continues to drive the industry forward.